AMATEURS, which you may have heard me mention on this blog in the past, is now up and running. For those of you who haven’t read my past ramblings on the project, it is a comic series by Jeremy Massie and myself, and we’ll be posting new pages to our web site every Tuesday and Thursday. 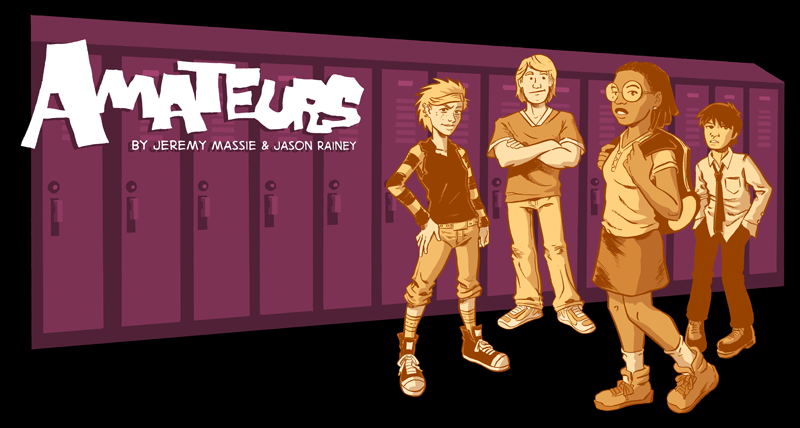 AMATEURS is the story of a group of teenagers who become disgusted with the world of superheroes that surrounds them, and decide to rebel by starting their own crime-fighting team. You can read it online at http://www.amateursthecomic.com/.